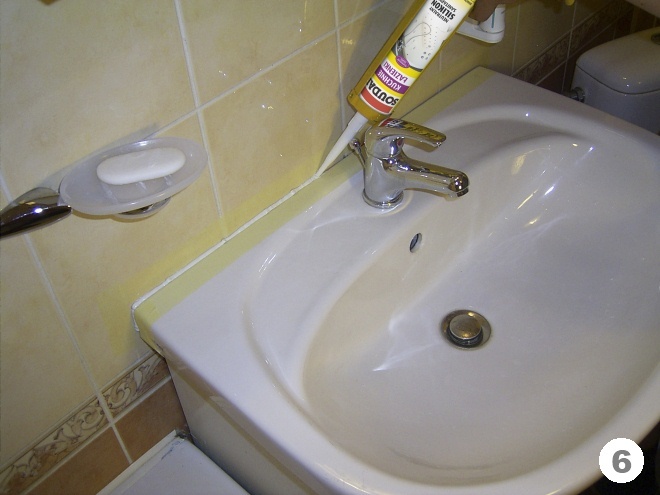 Even though there are different cleaners on the market designed for silicone joints, the most effective long-term way to improve the room’s aesthetics and to get rid of mold in joints is the complete replacement of the silicone sealant. You can do it by yourself, even if you don’t have specialized knowledge and professional tools. 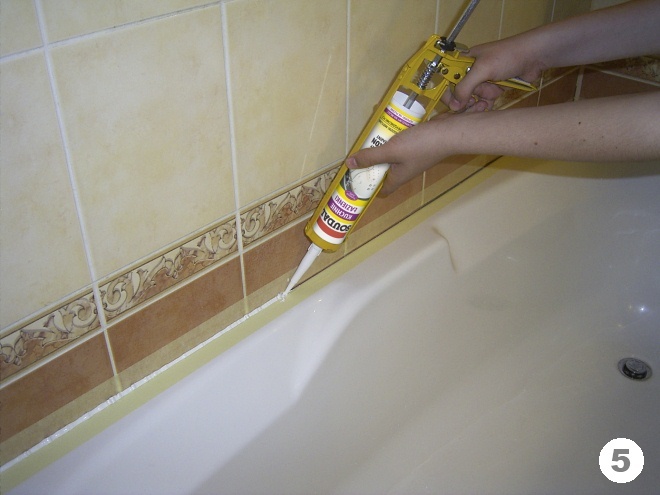 For the kitchen and bathroom sealing need to be used the so-called silicone materials – with high resistance to moisture and mildew. 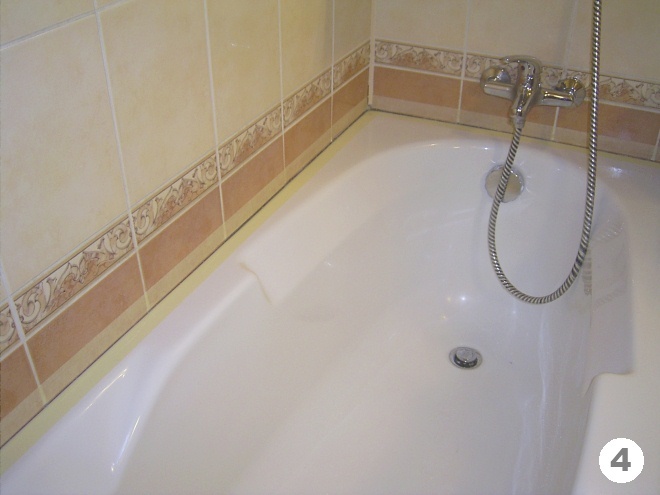 For the traditional bathtub and ceramic or steel sink, you can use less expensive acetic silicon – with a typical acetic smell. 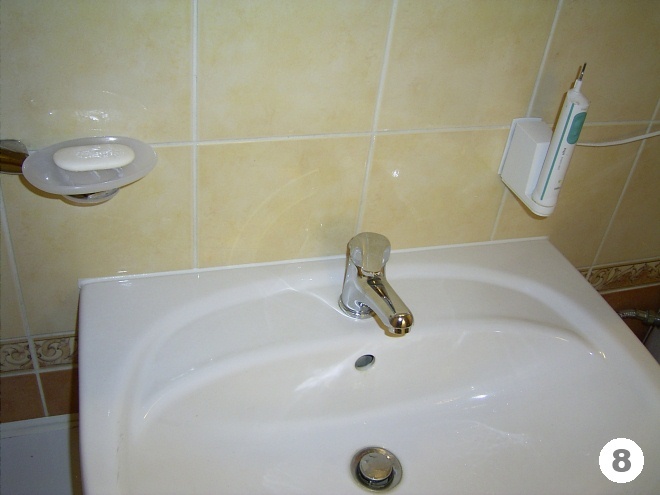 However, if you want to seal an acrylic bathtub, a PVC shower cabin, a conglomerate sink or decorative copper fittings, it’s imperative to use a neutral sanitary silicone. 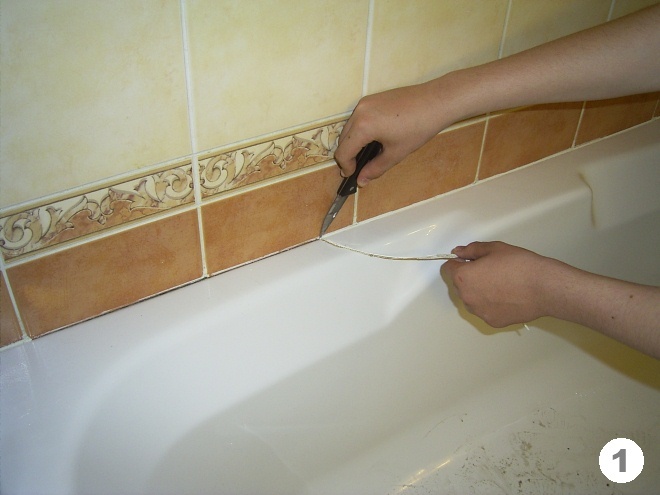 ♦ First, the grout entirely destroyed by mold should be removed with a special tool or a sharp knife (photo no. 1). 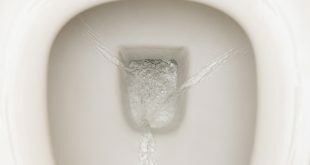 This is not a difficult task (photo no. 2). 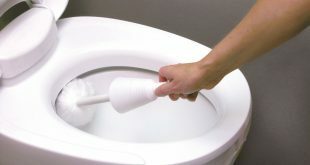 ♦ If, however, silicon is old and hardened, you can use “Silicon Remover” to soften and remove it (photo no. 3). 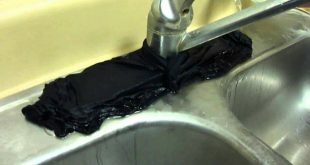 ♦ After removing the silicone residue in the space between the tub or sink and wall, carefully remove the dust from the surfaces – degrease them with a detergent (we recommend avoiding chemicals use – they can make acrylic surfaces mat). 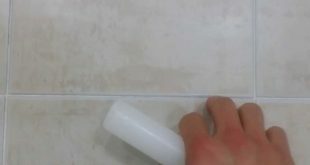 ♦ The next step is to apply a masking tape on the edges. 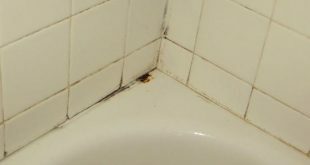 This tape is removed immediately after the application of silicone (photo no. 4). 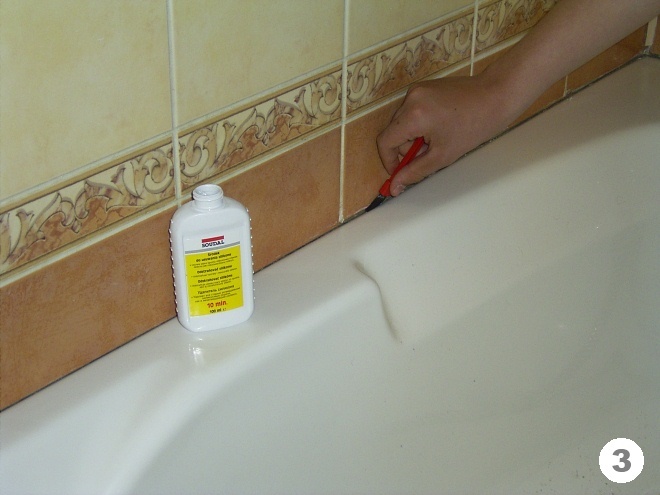 ♦ For best results, you can fill the tub half with hot water before the silicone application in the space between the tub and wall. ♦ Apply a small surplus of silicone using the special designed device (photo no.5 and no. 6). 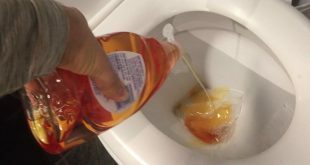 ♦ Align the merging area before the formation of the film (within 3-5 minutes) with a spatula moistened in liquid “Joint Finish” or in a soap solution (photo no. 7). 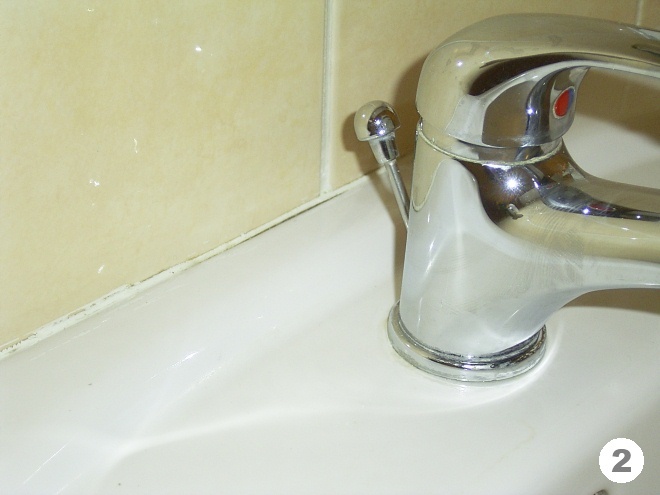 Proper smoothing of the silicone surface prevents the accumulation of dirt and mold and allows water to flow freely. ♦ Immediately after smoothing the isolation, carefully remove the masking tape and wait a few hours for the silicone to dry.